Ubisoft will become the latest publisher to hop aboard the "online pass" train when it rolls out the Uplay Passport with Driver: San Francisco. The "online pass" system has become pretty popular since EA introduced it back in early 2010 with Mass Effect 2 and Dragon Age: Origins. The concept is fairly simple: buy a game new, get full access to everything; buy it used and you'll have to fork over another ten bucks to the publisher for missing content, or do without. The most common component held back in new releases is online play, which is the route Ubisoft has taken with Uplay Passport in the upcoming Driver: San Francisco. Online multiplayer access in the new Driver game will be restricted to those who buy a new copy of the game or pony up for a Uplay Passport code through Xbox Live or the PlayStation Network. Pricing hasn't yet been announced, nor is it known what other Ubisoft titles currently in the works will employ the system, although Assassin's Creed: Revelations lead game designer Alexandre Breault told Gamerzines that is he currently "not aware" of the scheme. Ubisoft said back in May 2010 that it was "looking very carefully" at EA's "Project Ten Dollar," with an eye toward launching its own similar system at some point in the future. Since then, Sony, THQ and Rockstar have all rolled out their own online passes and now it seems that Ubisoft has finally caught up with the pack. 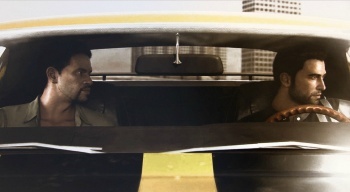 Driver: San Francisco comes out on August 30 for the Xbox 360, PlayStation 3, Wii, 3DS, Mac and PC. UPDATE: Ubisoft has confirmed that the Uplay Passport is in fact a thing, telling Gamasutra that it will "provide players with access to bonus content, exclusive offers, and online multiplayer play" for "many of Ubisoft's popular core games." Uplay Passport codes for those who buy used copies of Ubisoft games will be available separately for $9.99.